Investing in Iran just got a whole lot easier. The Swedish government has allowed a blockchain startup to use a bitcoin account – as opposed to a traditional bank account – as a way to prove its liquidity and incorporate domestically with the Swedish Companies Registration Office, called Bolagsverket. While the founders of Linköping-based Brave New World Investments initially took their idea of creating an investment vehicle for companies traded on the Tehran Stock Exchange to the six largest banks in Sweden, each, they said, refused the idea. Investing in Iran is legal in Sweden, but concern among the banks that Brave New World Investments might be perceived as a violation of US sanctions against Iran proved an insurmountable obstacle. That is until the Bolagsverket registrar in charge of the case, Madeleine Idvardsson, helped the company incorporate without a bank account. To register a company in Sweden using bitcoin, the incorporators must provide a signed statement from an auditor that the value of the property is not higher than the actual company’s value, among other requirements. The statement must be made by an authorized public accountant and described in accordance with generally accepted accounting principles for how the property’s value was determined, along with any difficulties experienced during the process. The approval of Brave New World Investments was expedited by a previous approval that had been sent to Bolagsverket by the Swedish Accounting Standards Board for another bitcoin application. While banks have built-in security features to help prove the identity of their clientele, using bitcoin proved a bit more complicated. On 27th January at a pre-agreed time, two identical amounts of bitcoin were transmitted from predetermined bitcoin addresses to a another agreed-upon address that would serve as a substitute bank account. CoinDesk has viewed the transactions and can confirm their existence. Now empty, the account is reserved for incoming transactions, while operations will be paid for, also in bitcoin, using other accounts and local bitcoin service providers. Now that the company has been incorporated with a bitcoin account, Brave New World Investments co-founder Mikael Johansson told CoinDesk he is waiting for the final approval to open a bank account in Iran. Then, bitcoin and other cryptocurrencies will be used to send funds to Iran, where they will be converted to the native rial and used to invest in publicly traded companies on the Tehran Stock Exchange. Since the Iranian Revolution of 1979, nations around the world have held various sanctions against the country, with the US being the most vocal detractor of doing business with the country. In recent years, however, the nature of those sanctions has begun to evolve. For starters, since the US, the EU and others in 2015 signed the Joint Comprehensive Plan of Action for the peaceful development of nuclear energy in Iran, the EU has engaged in increased trade with the country. In the US, on the other hand, the response has been different. Last month, US president Donald Trump moved to tighten US sanctions on Iran, in response to missile tests he believes could prove to be a possible threat. Still, Johansson sees opportunity in the changing climate – for those willing to play by complicated international rules. 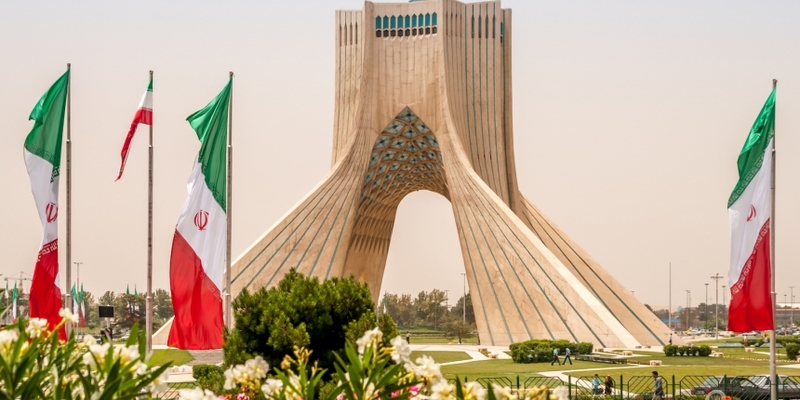 He told CoinDesk that in order to meet demand in Iran for outside investment, he will work with a diverse group of professionals to ensure his firm is compliant with both US and EU sanctions positions. Now that Johansson’s firm has been incorporated, he wants to use bitcoin and other cryptocurrencies to help Iranian companies overcome similar obstacles. As mentioned, Brave New World Investments was unable to get an account in Sweden due to concerns described by Johansson that the local banks might perceive the account as a violation of their agreements with US business interests. Similarly, for four years, interbank messaging platform Swift had cut all ties with banks in Iran. While some of those restrictions were lifted in January 2016 and international credit cards have been slowly entering the market, many sanctioned banks remain blocked. Johansson sees Sweden’s willingness to accept a bitcoin account in lieu of a bank account as evidence of an emerging sector of companies that are unable to obtain bank accounts, but are doing everything from paying rent, buying copy machines and providing services using bitcoin and other cryptocurrencies.